The German lender signalled the end of its global investment banking ambitions with cuts in the U.S. and Asia. New boss Christian Sewing plans to focus on Europe and more stable revenue sources. But low profitability hinders his plan to mimic continental rivals like BNP Paribas. People walk past a Deutsche Bank logo ahead the banks annual general meeting in Frankfurt May 21, 2015. Deutsche Bank on April 26 announced a major overhaul of its investment bank after Germany’s largest lender by assets reported first-quarter net income of 120 million euros, down 79 percent year-on-year. Net revenue for the quarter was down 5 percent year-on-year to 6.98 billion euros. 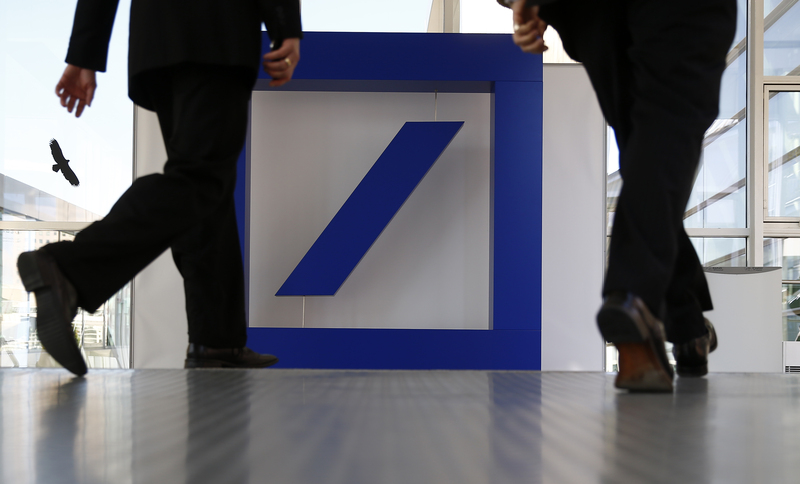 Revenue in Deutsche’s corporate and investment bank declined 13 percent year-on-year to 3.84 billion euros. Revenue in its private and commercial bank unit was 2.63 billion euros, down 2 percent. The bank’s asset management division reported net revenue down 10 percent at 545 million euros. Group pre-tax profit was 432 million euros, down 51 percent year-on-year. The bank made a return on tangible equity of 0.9 percent, compared with 4.5 percent in the first quarter of the previous year. New CEO Christian Sewing described shareholder returns as “not acceptable” and pledged to cut back businesses in the United States and Asia to better focus on European clients. The lender’s common equity Tier 1 capital fell to 13.4 percent at the end of 2017, from 14 percent three months earlier. Deutsche Bank shares were broadly unchanged at 12 euros as of 0830 GMT on April 26.